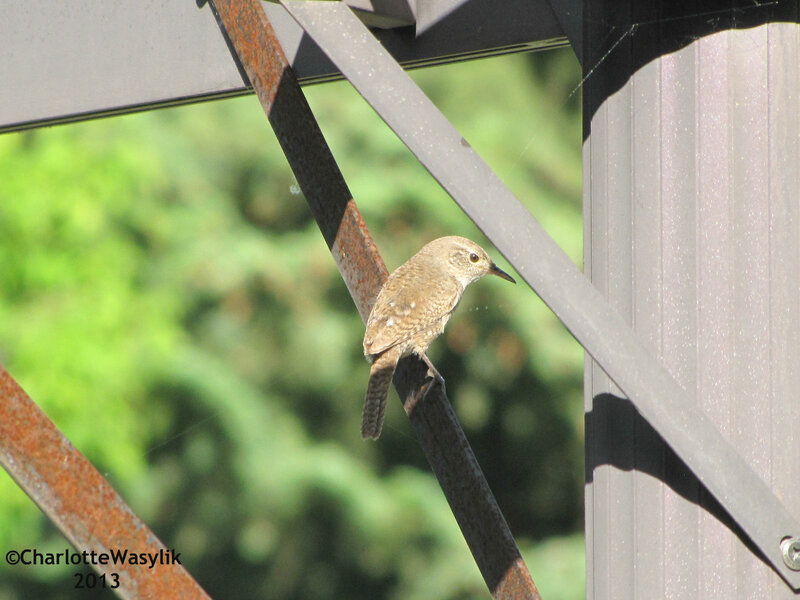 This male House Wren built a nest in a gourd at my grandparents’ yard and I was able to get this photo of him. Today, I’m linking up with Stewart for his Wild Bird Wednesday. So be sure to read through all the other bloggers’ posts with their wonderful wild birds. 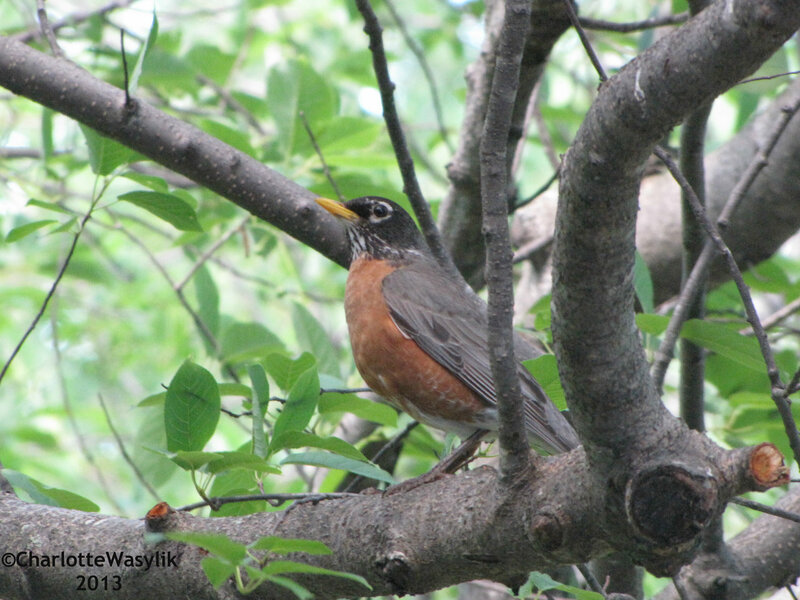 This American Robin was taking a break from looking for worms on my grandparents’ lawn. 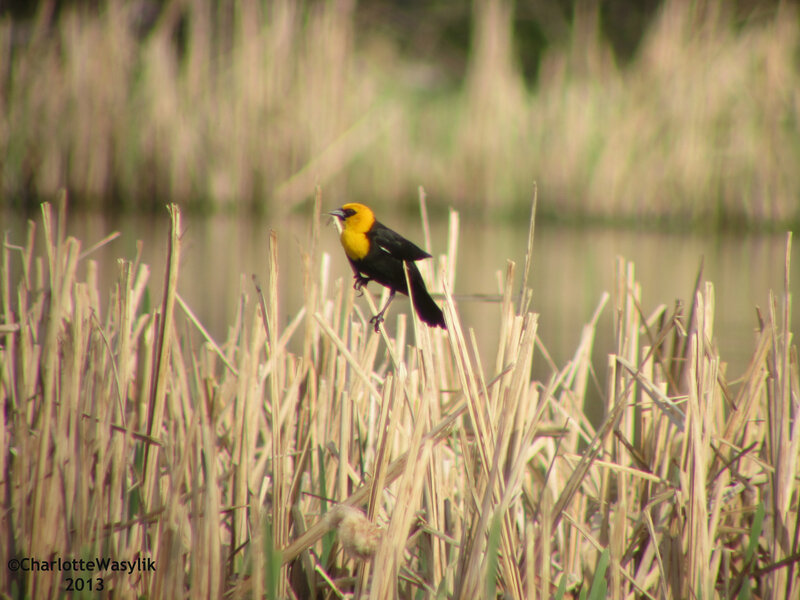 This male Yellow-headed Blackbird was singing and displaying for the females at the slough (pond) across the road from my house and I digiscoped this photo of him. 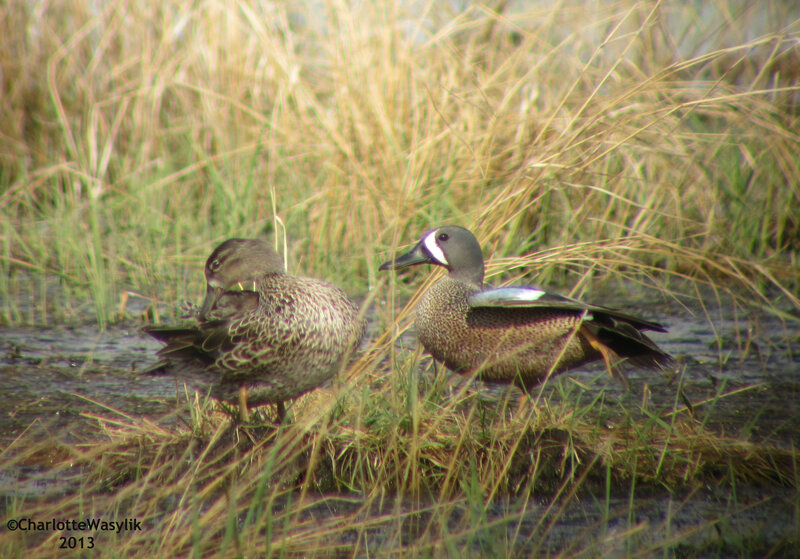 This pair of Blue-winged Teals were preening at the slough (pond) across the road from my house, and I digiscoped this photo of them. 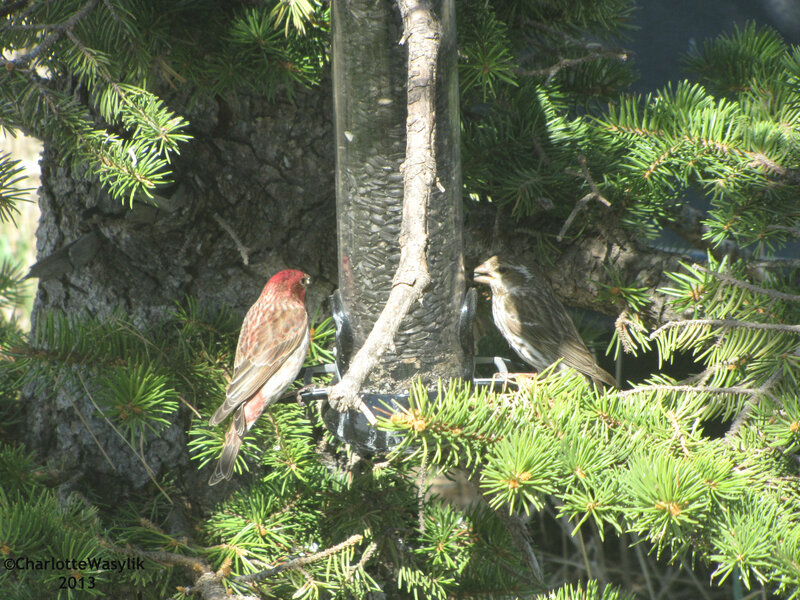 I’ve see two pairs of Purple Finches coming to my feeders very regularly this Spring and it’s always so nice to see them around. Their song is so beautiful and I hope they stay throughout the Summer! 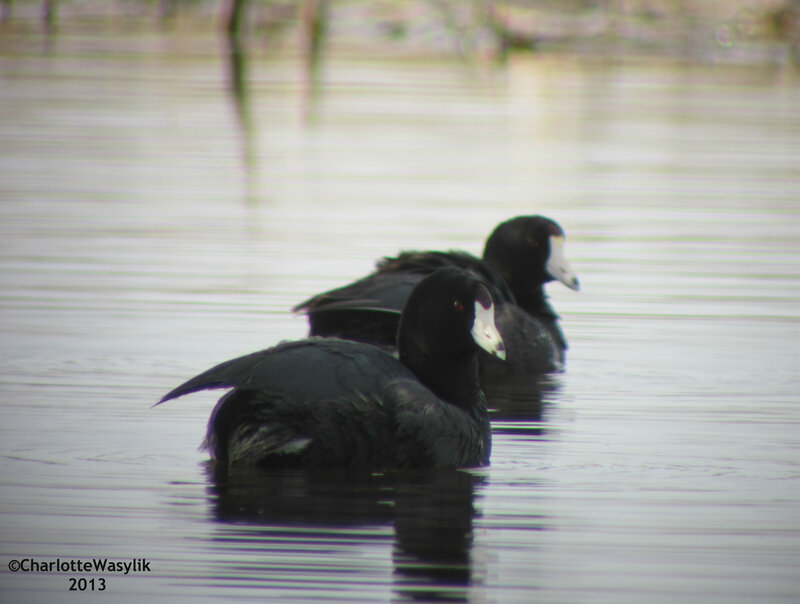 Today, I’m linking up with Stewart for his Wild Bird Wednesday. So, be sure to read through all the other bloggers’ posts with their wild birds. 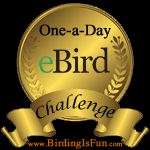 Today, I’m linking up with Stewart for his Wild Bird Wednesday. Be sure to read through all the other bloggers linking up with Stewart, with their own wild birds. And welcome to everyone here stopping by from WBW! PS I may be back later today to update this post, I wrote it up last night after 11 pm after a five-hour theatre rehearsal (we have our performances of “The Wizard of Oz” at the end of the week), so I’m not quite sure what I’ve written! 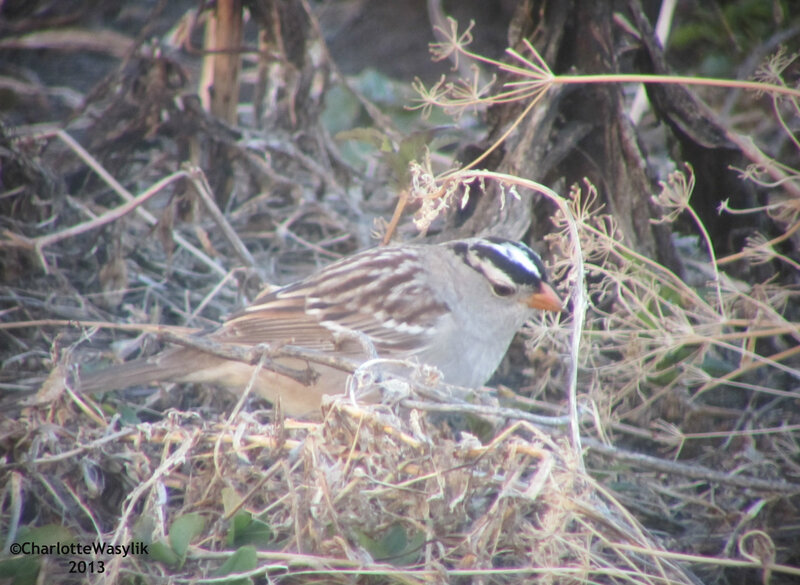 The White-crowned Sparrows arrived in our yard last week and have been foraging through my mom’s garden. I’ve been digiscoping a lot of photos of them, and here is my best one!